'A Grand Night' cocktail features a coffee amaro from Grand Rapids. 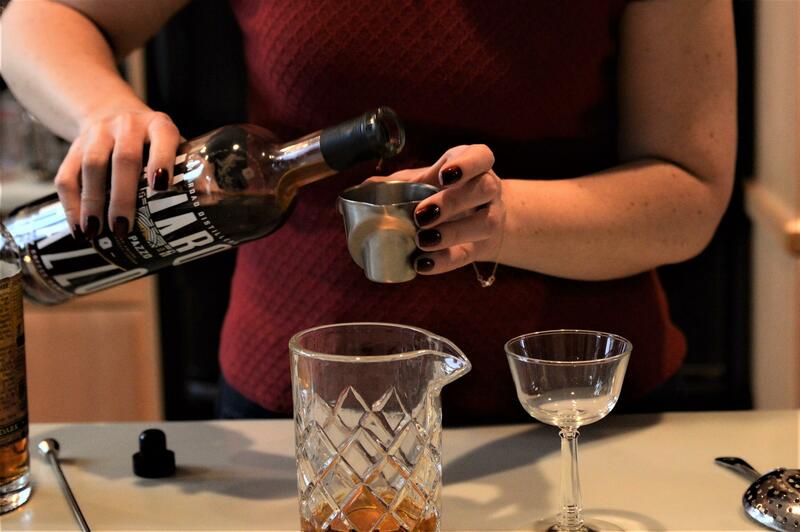 Listen to Tammy and Lester discuss a new Michigan-made amaro made with coffee. 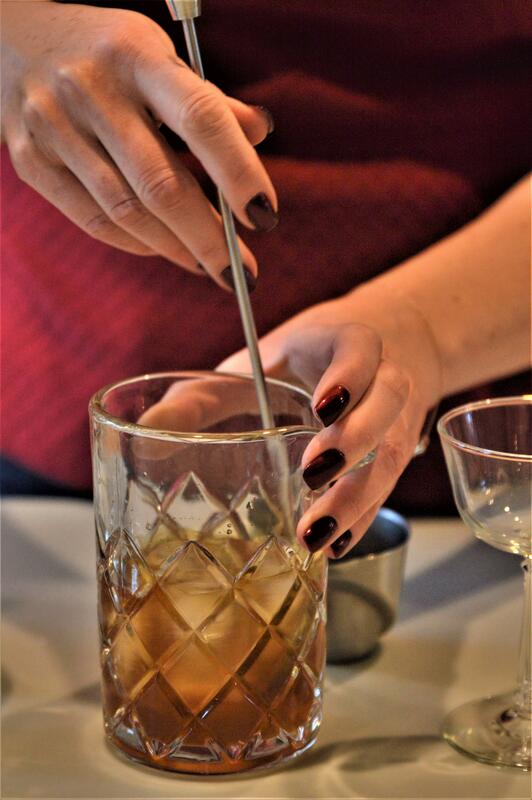 Tammy Coxen measuring one ounce of Amaro Pazzo for her new cocktail. Stirring the ingredients with ice.